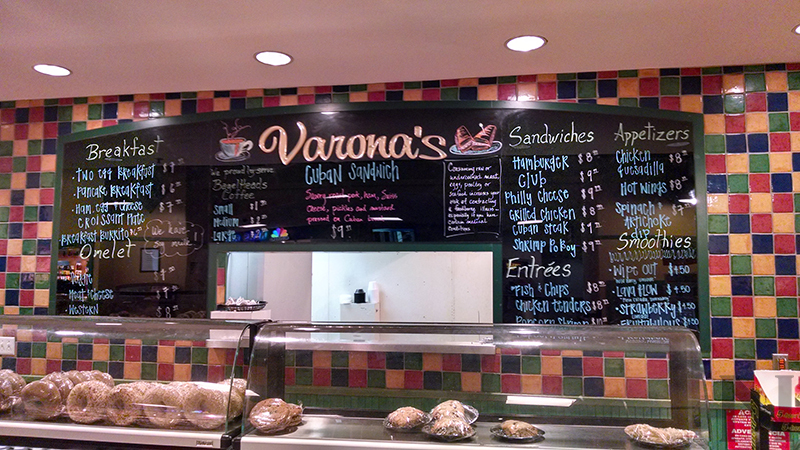 Varona's restaurant inside the terminal at Pensacola International Airport (PNS). If 'local' cuisine is so important for our airport, why is there none now? I fly a bit for my job, so it's been entertaining to watch the brouhaha over who gets to feed us at Pensacola International (ahem) Airport. The long-term contract is up for bids this week, and the longtime vendor is at risk of being ousted by some national chains. The argument against having the likes of Chik-fil-A and other chains at PNS is that you can get it anywhere (including 5 minutes away from the airport). And in the case of Chik-fil-A — disclosure: I'd eat there eight days a week if I could — it's closed on Sundays. Wherever will we get pressure-cooked fried chicken then? Another argument is not "local." Consider this line from current vendor Robert de Varona from Nate Monroe's Sunday piece in the PNJ. When I'm in an airport, I'm in an airport. And my No. 1 goal is to get out of the airport and to my destination — be it another city, or my home — as quickly as possible. I know I'm in Pensacola because (a) I bought the ticket to take me there and (b) the flight attendant reminds us where I am as soon as we land. Or perhaps I know I'm in Pensacola because some 10 or 15 minutes before we land, you fly over the most beautiful beaches you can visit without a passport. That's how I know I'm home. Bagels, on the other hand, tell no tales. I mean, where else in these United States could you possibly get bagels? But moreover, let's look at what's currently available inside security at PNS, which to me is the only vending of any concern. Save for a shrimp po boy — which, of course, you can find outside of Pensacola — there's noting on Varona's menu I'd consider to be much of a local staple. If showcasing "local" cuisine at our regional airport is so important, why is there none now? Was it not important in the previous 10 years of this contract? Only when another company came along with a better business plan has it begun to matter, apparently. Passengers inside an airport need to have something quick and easy to eat. If you want to experience Pensacola — which, by the way, presumably you'll do either before or after entering the airport in the first place — you can do it just minutes away. And it's worth mentioning you'll have to drive past the shuttered Varona's restaurant just outside the airport's entrance to do so. Local flavor is great. Local food is to die for. I highly suggest you get out of the airport and enjoy it.